Ships from Hong Kong. This nail art decoration sticker doesn't need glue, it could stick by itself. It is easy to clean and convenient to use, great for both professional and home use. Design your own nail art, make your finger nails colorful and beautiful, don't hesitate, you're worth it. Color may vary due the light. Self-Sticking,strong viscosity,no glue is needed. Clean and convenience for use. Great for both professional and home use. Can be used to design your own nail art , nail patterns, highlight, etc，make your finger nail colorful and beautiful. 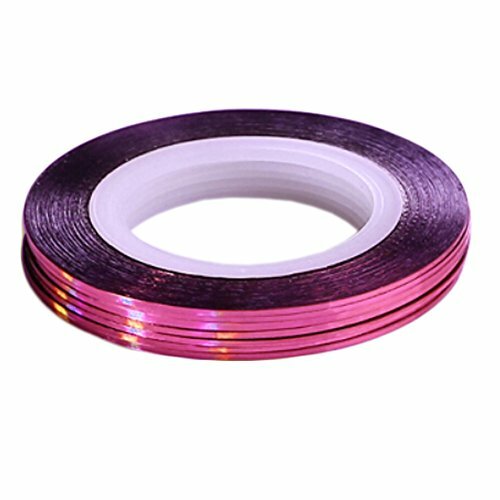 View More In Striping Tape Lines.